Temporary treatment options offered at BAXT CosMedical® for acne scarring are Hyaluronic acid (HA) facial fillers. 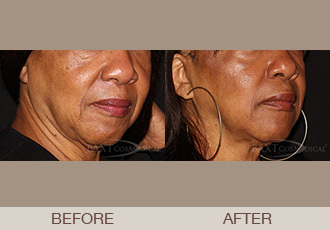 Dermal fillers can improve acne scarring by lifting the depressed skin of acne scars. Hyaluronic acid is a naturally occurring substance found in your skin to help keep skin plump and hydrated. Facial fillers made with this substance are the best option to temporarily reduce the appearance of acne scars. At BAXT CosMedical® you may be assured that only a board certified dermatologist does all and any injections, not other untrained doctors or assistants with little experience or understanding of the skin. To determine the most effective HA facial filler to achieve your desired goal to reduce acne scarring, we recommend you contact our office today. Schedule your consultation by contacting us online or by calling 201-265-1300 today.